Water on windows is condensation. Your windows sweat! Did you know that? They sweat because the inside and outside of the window has a big difference in temperature. The first place you notice it is on the glass because it’s the lowest temperature on the entire wall. In the winter, it’s commonly seen on the interior of the window and in the summer, it’s seen on the exterior of the window. Do not blame the windows – they’re doing their job! The easiest way to explain condensation is using the shower and bathroom as an example. What happens when you take a steamy, hot shower? The warm moist air comes in contact with the cooler air and the bathroom mirror steams up. Where do you see the condensation? The glass! Elements windows are designed to keep the winter cold air and temperature outside, and the heat inside of your home. It’s the same as in summer – your cool air conditioned home stays cool and the heat stays outside. You may not have noticed the condensation on your old windows for many reasons. First, they weren’t energy efficient. They allowed moisture and air to escape between the window frame and wall frame or through the sashes. 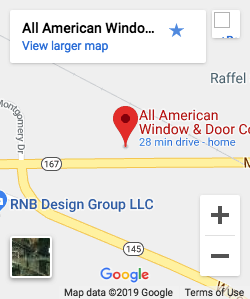 Your windows were most likely drafty. 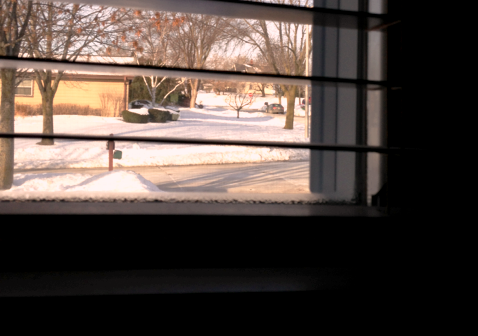 Drafty windows are like watching $$ float in and out of the home. You’re not doing yourself a favor by keeping those old, drafty, inefficient windows. Condensation can be reduced by controlling the humidity inside your home. This is extremely important. The more humidity you have in your home (due to plants, showers, cooking, pets, etc), the more condensation you’ll notice. Moisture is all around us. Some quick solutions would be to get the humidity levels in your home tested, open blinds or drapes to allow air to circulate, use of a dehumidifier, and cracking a window or door open for a few minutes. I should mention that if you see condensation between the panes of glass that means you have a seal failure. A Seal failure is completely different than condensation. Remember, new windows and doors do not cause the condensation. It is the moisture in the air and the more moisture in the air, the higher the humidity. 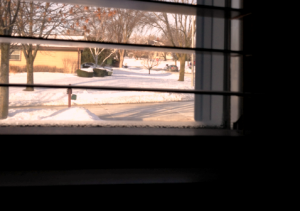 Condensation is extremely common in such extreme temperatures that we deal with in Wisconsin. One day we’re experiencing an Indian summer, and the next we’re pulling out our Eskimo suits. If you want to test the humidity levels in your home, I’d highly suggest getting a digital hygrometer. So, next time you walk in the kitchen and see a little condensation on the window, don’t freak out. It’s telling you your windows are working perfectly! For more information on condensation, please visit these sites.